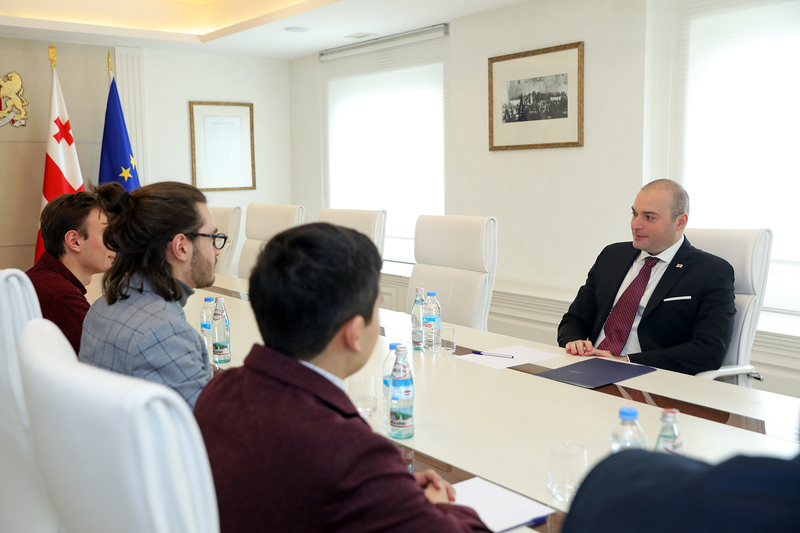 Today, Georgian Prime Minister Mamuka Bakhtadze hosted students in their senior year at Tbilisi Komarov School of Physics and Mathematics #`99, who will continue their studies in leading US universities in September. The Prime Minister congratulated Giorgi Chubinidze, Giorgi Kldiashvili, Lekso Borashvili, and Luka Mdivani on this important achievement and wished them success. 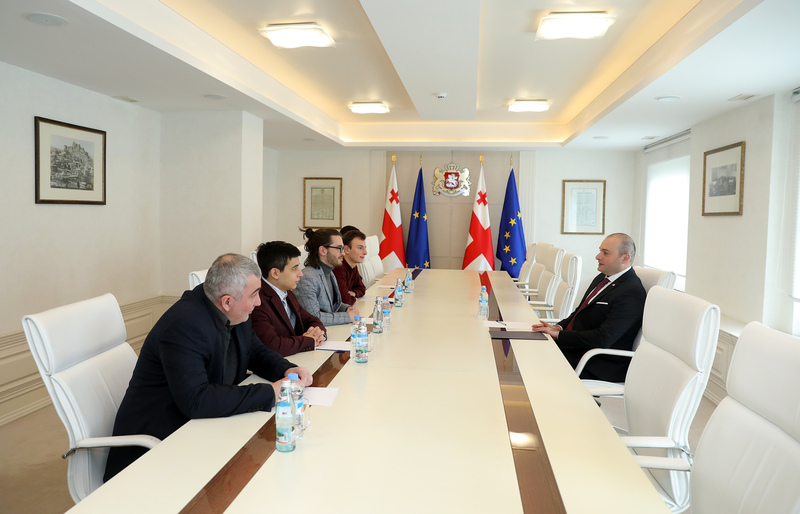 During the meeting, the Komarov School students informed the Prime Minister about the majors selected by them and the motivations behind choosing particular universities. The college tuition of Giorgi Chubinidze (University of Pennsylvania), Giorgi Kldiashvili (Massachusetts Institute of Technology), Lekso Borashvili (Lafayette College), and Luka Mdivani (Duke Kunshan University) will be covered in full by the respective universities. It marks the first time when Komarov School's senior students are granted US university scholarships before the end of an academic year.